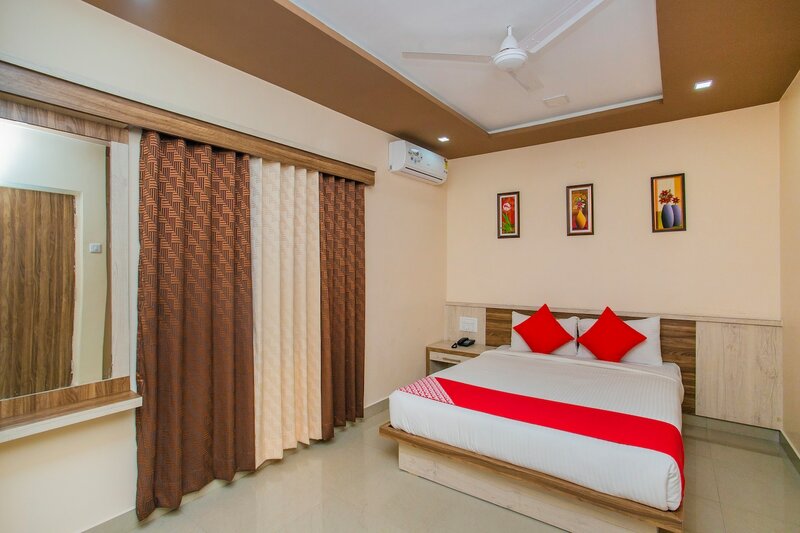 Bluemoon Comforts should be your choice if you are looking for well-maintained and clean rooms at a pocket-friendly price. The rooms hare done in light colours and the curtains make the room look beautiful and the pictures add vibrancy to the room. The rooms are compact and have a chair and a desk. The hotel has a seating area with cushioned armchairs and also a dining area. It also has card payment options and an elevator to make the guests' stay comfortable.